This is from some story I do not know - but the idea is clear. Work, work, work - even in the midst of devastation. 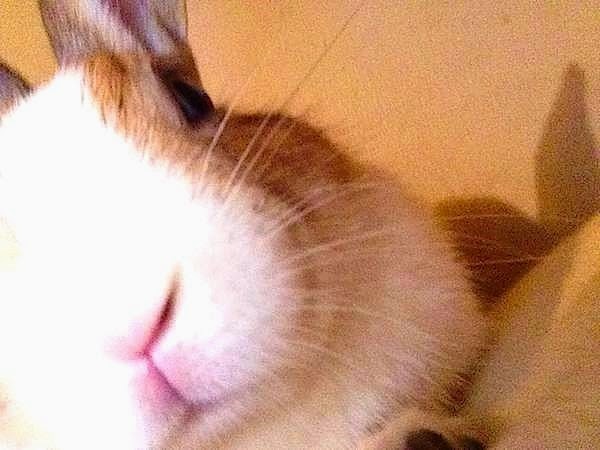 A bun selfie! Is there no end to their ingenuity? Well, Captain C. Butterscotch-Noam, please keep us informed of your progress. And drive those hoomins HARD! You need every ounce of their strength! I hear that The Cinnamon Valley is a harsh place. Grown hoomins have fallen to their knees, unable to walk, as they have been overcome by such intense Disapproval Radiation emanating from the rocks, that they regretted their very births, and judged themselves unworthy even to breathe! No hoomin expedition to The Cinnamon Valley has ever returned.